I know I may be biased, but I always get excited when a picture book comes out with mixed heritage family. Maisie’s Scrapbook was sent to me a little while ago in PDF form by Lantana Publishing. They wanted us read it and comment for the blurb. However, reading a book in PDF and holding it in your hands is a totally different reading experience. I love book and I cannot lie. Thankfully, my kids are the same. Maisie’s Scrapbook shows us no matter how we look, eat or what we wear, we all love the same way. 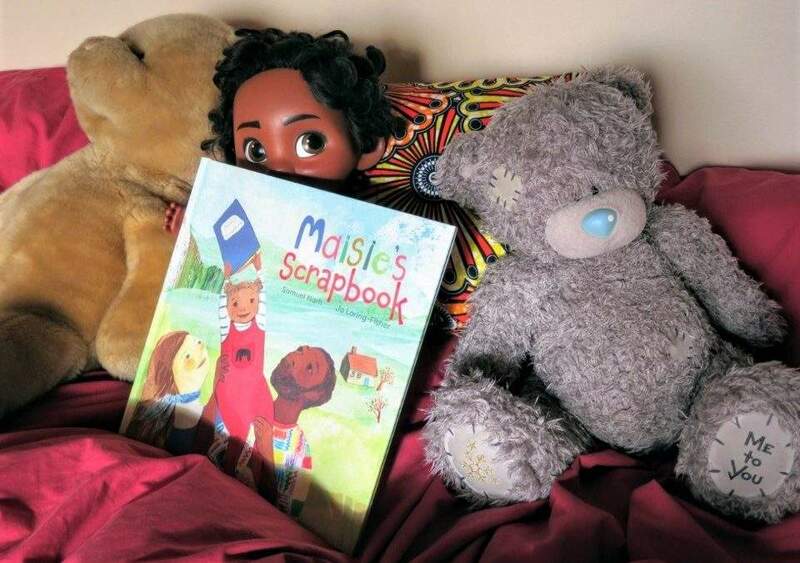 Maisie is a spunky 5 years old mixed race little girl; ‘… as spirited as autumn leaves’. We see her world through the entries in her scrapbook and via her wonderful imagination. We see that while her mother is protective, her father puts her at the centre of his adventure stories. She’s the hero ‘… the little girl who saves the world from Ananse the spider’. The story takes us through a year in Maisie’s life. Like her dad she’s a story teller. She can make a rocking chair change into a bull with her big imagination. Although Maisie’s is adventurous; she’s grounded by the love of her parents. They have different cultural references and use different words to describe the same thing, ‘Mama says tomato. 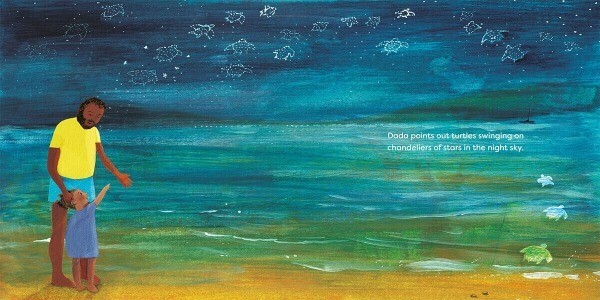 Dada says aamo’, but they praise, nag and love her the same way. We found a kindred spirit in Maisie. I think she will make a generation of mixed kids feel more visible. It’s a beautiful story.